The quick programmes are great for when you're in a hurry and allow you the flexibility to wash a full load in 30 minutes, depending on the level of dirt on the dishes, giving you the perfect solution for when you're in a hurry. The is simply great value without compromising on quality. It offers 5 programme options and 4 temperature settings. You will not be disappointed in any way when you choose to go with the model. It also offers 2-year parts and labour warranty. 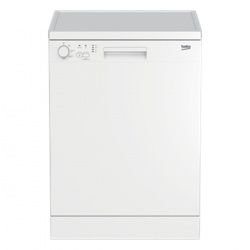 Easy clean-up with this black slimline dishwasher from Indesit. 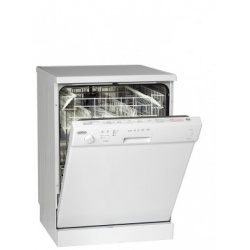 It can wash 10 place settings at once, so it’s the perfect model for compact kitchen spaces. Thanks to an A rating for energy efficiency, it won’t cost you too much to run. Whenever you need dishes in a hurry, this model has a speedy quick wash cycle that cleans the load in just 40 minutes. It also has an economy wash, which uses lower temperatures and less water to give you a brilliant clean, while saving energy. 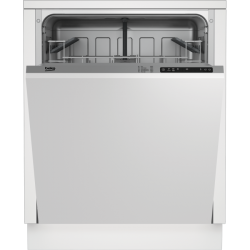 The WFE 2B19 UK is a multi-programmable dishwasher which delivers supreme cleaning with every wash. An impressive 11 litres of water consumption handles a full load with a super silent noise level of only 49 db. A start delay function and half load option puts convenience in your hands. 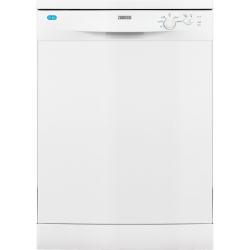 With flexible baskets and high energy efficiency, this full size dishwasher comes with a choice of 6 programmes, including the quick Mini 30' programme which washes a full load in just 30 minutes. Perfect for when you’re in a hurry, the Mini 30’ programme can wash a full load of slightly dirty dishes in just 30 minutes. And, when you have even dirtier items to clean, the Quick&Shine™ programme will only take 58 minutes to wash a full load – saving you time and money. Making your dishwasher easier to load, the cup racks can be folded down to create extra room for larger dishes, pans and bowls. Helping you unload super-shiny cutlery and clean dishes from your dishwasher every day, there's a variety of special programmes to suit all of your dishwashing needs. Get rid of any leftover detergent traces on your dishes by using the SuperRinse™ function, which uses more water and extra rinsing steps to make sure dishes are spotless when the cycle has finished. 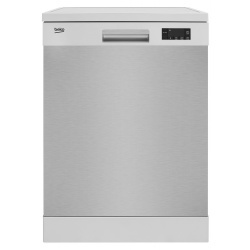 You can save money on your utility bills and do your bit for the environment with this dishwasher's low water and energy consumption. Great for any family's everyday needs, the 12 place setting capacity means you can wash all of your dishes in one go. AirDry technology will dry your dishes with natural airflows. The door opens up in last part of the program so dishes are clean and dry ready for unloading. Gone are the pesky droplets that always remained on crockery. The intensive programme in our dishwasher uses a powerful 70°C jet of water to easily remove even the most stubborn residue. Cleaning all your dishes thoroughly so they're ready to use again straight from a cycle. 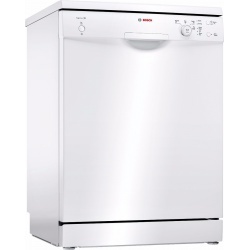 Our dishwasher features a fast-wash programme that cleans light loads quickly and thoroughly in just half an hour. So your dishes are ready to use at a moment's notice. Programme the dishwasher cycle to start three hours ahead with the delay function. It's a convenient way of cleaning and unloading dishes when you've got the time or energy. And it also means that you can take advantage of off-peak rates, or run a programme when hot water isn't required elsewhere.